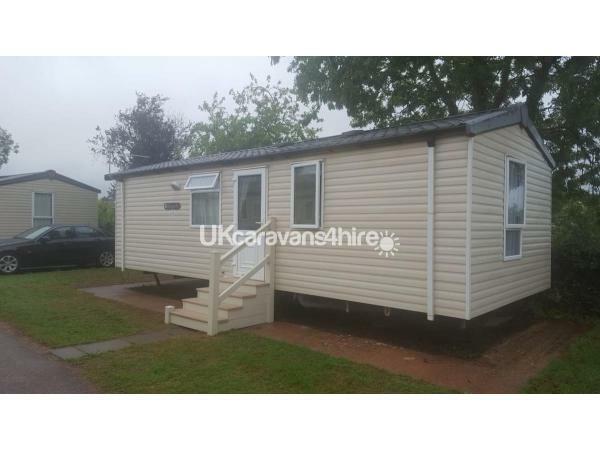 Security deposit £75 required Fully refunded after departure providing caravan left clean and no damages. Deposit at time of booking balance 6 weeks before arrival date. Caravan is no smoking and dogs are not to be left unsupervised. 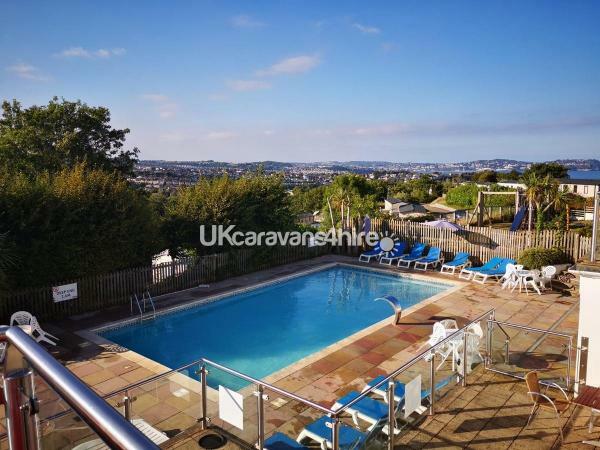 This holiday home is on Beverley Bay Holiday Park in the heart of the English Riviera. A 10 minute drive to Paignton, Brixham and the Dartmouth ferry and ten minute walk from Goodrington Sands beach and Splashdown Water Park. Ideal location serviced by good public transport links to Plymouth and Exeter. 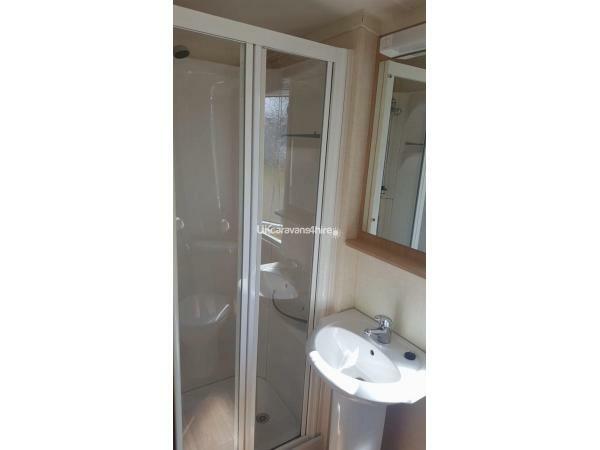 It is a bright and inviting caravan which is cleaned to a high standard by my son prior to all bookings. Bedding is supplied, welcome pack on arrival and passes for pools, entertainment etc are included with every booking. 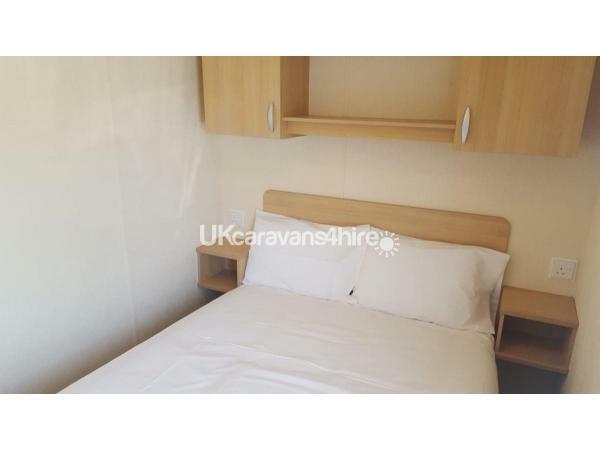 The caravan is fullly equipped including 40inch TV, DVD player, outside seating and BBQ. High chair and cot are available on request. Our guests have access to all the facilities on both Beverley Park and Beverley Bay (200m walk). 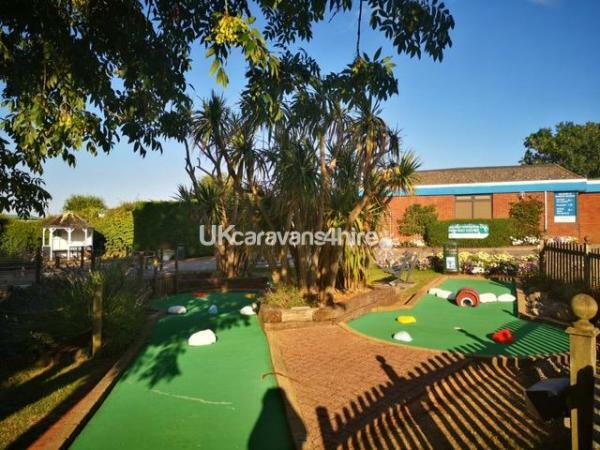 The caravan enjoys fabulous views over Goodrington and Paignton; ideal for viewing the many firework displays which take place in these locations throughout the year. We cater for all types of stays (weekend, midweek, week, and longer) so please contact us with your dates. Additional Info: Tropical indoor and outdoor heated pools. Children's Entertainment club, Bingo, Cabaret and much more. Beautiful caravan. Lovely family site which also catered for dogs. A plus for us was to be able to take our dog in the caravan. Situated close to the beach. The booking experience was brilliant. The owners were very helpful in every way. Definitely use this caravan again ticked all the boxes for us. Thank you for the lovely review. We look forward to being in touch soon hope all is ok with the expected puppies. 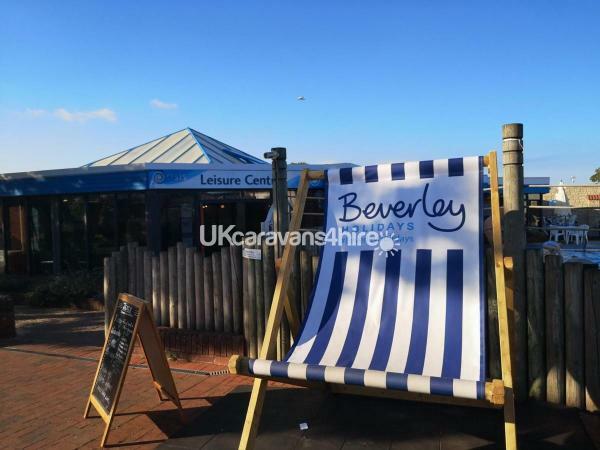 Just came back from Beverly Park booked the caravan through Joe and Dave who were a pleasure to deal with and very professional.....The accommodation was very clean and everything was there for what we needed for our holiday and a comfortable stay.... The location of Beverly Park was a great the facilities on the site are excellent and on arrival we received free passes from Dave to use them..... The location of the park is ideal to access South Devon, just a 5 minute walk down the hill you can get a bus that runs every 10 minutes that links Torquay Paignton and Brixham and beyond and you can purchase a day saver ticket for 5 so you can hop on and off the bus all day and save on the parking.... A great week had by all the family and hope to return again soon..... To Joe and Dave once again thank you for making the booking and settling in the the caravan a nice experience I feel this is how customer service should be. Booked as a last minute treat for the family and didn't know what to expect. Joe - the owner - is great to deal with and was always ready to answer our questions. The caravan was spotless and the kids loved how close it is to the playground. We went to Beverley Park most nights for the kids club and entertainment but it really is only a very short walk away. Great holiday, lovely caravan...will 100% return. Hi Daniel, thank you for the lovely words. It will be great to have you, Susan and the kids stay with us again.